An interesting two column theme with widget placement at the bottom and in a sidebar. The colors include a blend of soft blue, white and sandy. The sidebar widget saves a lot of space through a tabbed list of the more recent comments, popular posts & categories. Chorva, chorvalu or chorvaloo is Filipino slang for “anything”. This blog contains mostly funny random images from the internet. This site also occasionally includes interesting random things. The links to the source of the articles or images is provided as much as possible in the spirit of sharing, re-blogging & giving credit where it is due. You can see how the two column layout is used to display the archive. This is a plainer example of the look you will get right out of the box. 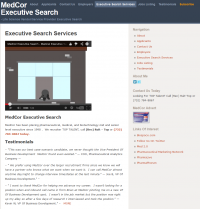 MedCore Executive Search started operation in October 1998 and is based in Phoenix, Arizona. MedCore places mid & senior level medical sale and operations candidates throughout the US. They focus exclusively on recruiting in the medical vertical which has led them to become acknowledged experts within this medical recruitment arena. You could be a client if your company is involved in medical or pharmaceutical sales, physician manufacturer / distributor, medical manufacturing, medical services or healthcare information technology. 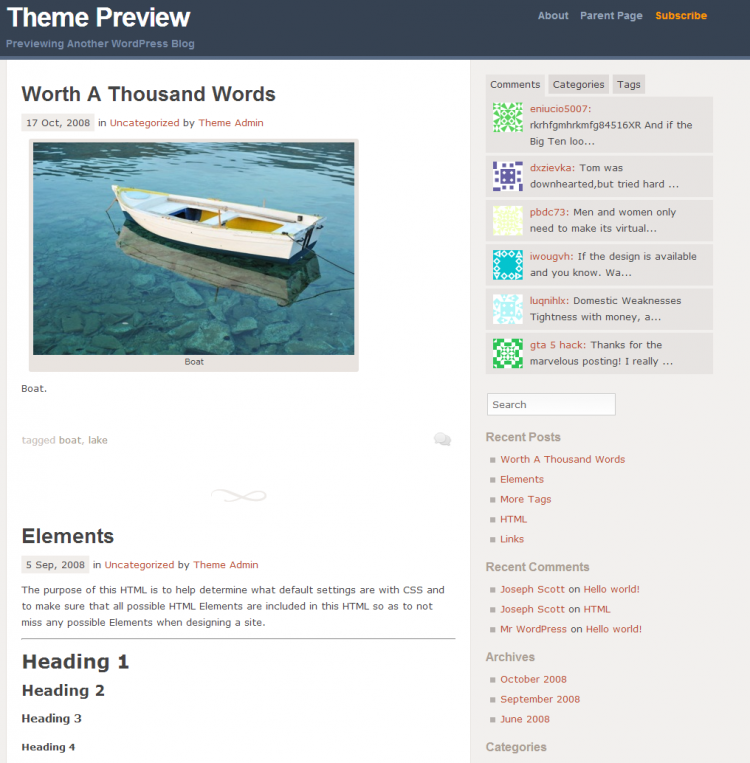 Check out the use of the header menu links integrated with the text based header. You can also see the sidebar has integrated many things like social profiles for linked in and twitter as well as navigation tabs.